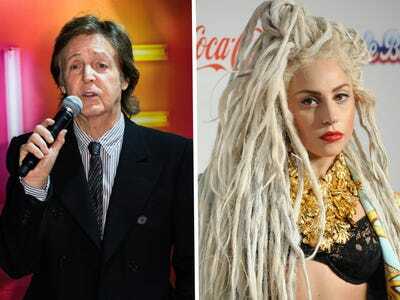 Ian Gavan; Stuart C. Wilson/GettyPaul McCartney and Lady Gaga. Paul McCartney, Lady Gaga, and Katy Perry are among the hundreds of celebrities who signed an open letter from Billboard magazine to Congress on the issue of gun-control reform on Thursday. The letter, titled “An Open Letter to Congress: Stop Gun Violence Now,” finds an impressive and extensive list of artists and music-industry executives throwing their voices into “the chorus of Americans demanding change,” following the mass shooting in Orlando. In the letter, Billboard and the celebrity signees call on Congress to implement two measures: to “Require a background check for every gun sale” and to “Block suspected terrorists from buying guns.” The US Senate rejected both of those proposals in a recent vote. The letter is preceded by an editor’s note that mentions how musician Joan Jett was the first to sign the letter. Lady Gaga followed suit shortly after, and then “in a matter of just a few days, nearly 200 top artists and executives” joined the effort. Read the open letter over at Billboard.